We have established GridON to provide viable, industrial strength, commercial solutions to utilities, power producers and industrial plants who are facing growing demand for power capacity. GridON is offering cost-effective, scalable fault current limiting solutions which enable connection of distributed generation and renewable energy sources; and increased capacity of meshed distribution and transmission networks. GridON’s FCLs are in operation in live networks since early 2013. GridON’s successful installations in live networks is a strong testament to the unique capabilities of GridON's product and to the growing acceptance of this new solution. GridON is currently engaged with several transmission and distribution operators, as well as with some power producing companies and industrial customers. GridON was founded in late 2009 by a team of competent entrepreneurs with extensive expertise in building global operations. The roots of our technology were planted by a multi-disciplinary team of researchers from Bar-Ilan University and Ricor. GridON has since, researched and developed the core technology further and patented additional breakthrough concepts. We transformed the academic research work into applied solutions and provided the commercial and manufacturing framework required for offering a product portfolio to the market. It submitted more than 10 patents, a few of which were already granted. GridON has partnered with Australian based Wilson Transformer Company - a shareholder and engineering and manufacturing partner - to bring its novel, world-class portfolio of FCL products to the market. GridON’s first commercial FCL was funded ($7M) by a consortium of the UK Government and global industries (EDF, E.ON, Rolls-Royce, Caterpillar, BP and Shell), aiming to drive the technology development to a point at which network operators could deploy this product which is now being commercially available. Following rigorous testing by Ausgrid Testing & Certification, the FCL has been in service at a UK Power Networks main substation in East Sussex, UK since early 2013, proving very reliable during normal operation and extremely effective in limiting many faults. E.ON Technologies provided technical assurance and network simulation support throughout the project. GridON also won a major contract to supply an FCL to Western Power Distribution, and the device is in operation in Birmingham, UK since early 2015. In June 2015, GridON was awarded the highly coveted Horizon 2020 grant from the European Commission. It was used to develop an enhanced FCL integrated with solid-state based DC-biasing system - enabling a much smaller and economical FCL. 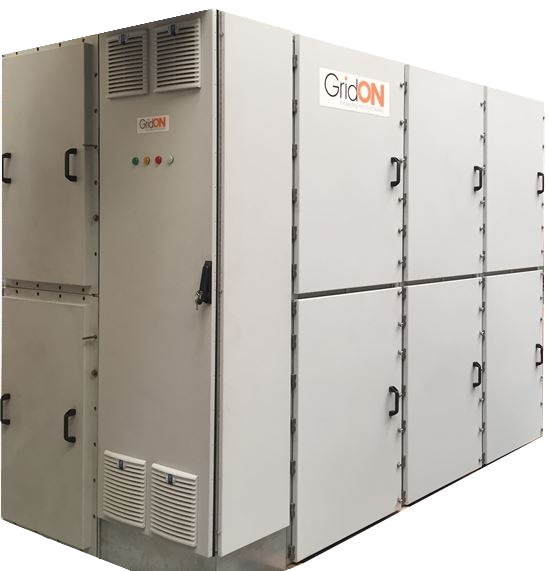 While saturated core FCLs offer an excellent solution for medium-to-high voltage ratings, GridON has realized the fast growing demand for economical solution to enable expedited connection of new distributed generation (DG) sources in low-to-medium voltage networks. 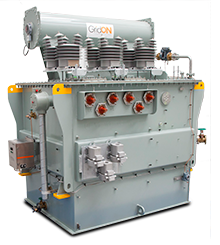 GridON's second product family, a solid-state based Fault Current Limiting Interrupter (FCLi), is a cost-effective solution to enable increased capacity in industrial plants and fast connection of independent generators. Western Power Distribution will be trialing the FCLi in a connection of 5MW generator into their 11kV network, and is targeting the FCLi as a cost effective solution for hundreds of new DG connection requests. GridON is engaged with leading industry forums and organizations, including Cigre, EPRI and IEEE/PES, and is an active member of the IEEE FCL workgroup PC37.302. During 2013, GridON was elected to the Global Cleantech 100, and won the UK Energy Innovation Award for the Best Energy Network Improvement. Topping thousands of other innovative technologies, GridON was also the proud recipient of the 2011 GE ecomagination Powering the Grid award and the 2012 ACES Smart Grid award. Please complete the request form in order to learn more about our solutions and their capabilities.